A fresh, sleek phone, just for baby! Press any of the ?app? 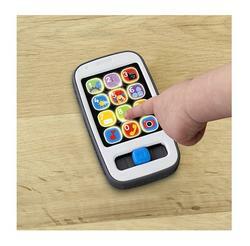 tile buttons to hear more than 20 songs and phrases about numbers, counting, greetings and more. Light dances along to the music. 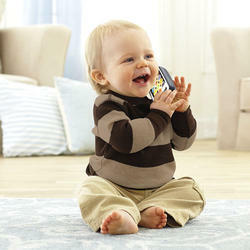 Baby can also move the slider back and forth to activate additional songs and sounds.